have you been in a similar situation, if so, what was your experience? what you would suggest to the letter writer’s friend? I have been reading this blog since a long time and would like to share something. Today, a very old friend called me and after talking to her, I felt that it would help her immensely if you guys gave some feedback on her situation. I have told her my views but I think after she sees it from the point of view of objective strangers , it will give her a better perspective. I plan to show her the post and comments on it . She and I go a long way back, we are both in our late twenties now, we became friends when we were maybe 5. She is a past of most of my childhood memories and I feel very sibling like about her. We both come from dysfunctional homes, in many aspects our situation was identical. I, however, was lucky enough to escape while still in my teens while she stayed on. She stays with her parents and her younger sister. While her mom has always been very warm and welcoming to me, I could sense the abnormal atmosphere of her house even as a child. Her dad always seemed absent, even when he was there, he seemed sullen and silent, usually preferring to ignore the kids altogether. After her sister was born, it seemed like her parents blatantly favoured her sister. As a result her sister was very spoilt and often rude to my friend. Her parents never admonished her sister, no matter how much she misbehaved. As we grew up, we couldn’t meet much, but when ever we did my friend would tell me stuff about not being happy at home, feeling neglected and ignored. The things she told me confirmed that my perception of her circumstances had been accurate. She has had bad luck in relationships which I feel atleast partly has to do with her situation at home. I have tried explaining that to her. If you experience an emotionally abusive situation at home, you internalise it and patterns repeat in your future relationships. That it what happened to me, for which I had to attend regular therapy after I left home and have strongly advised her the same. Her main problem at present is that she lives at home and feels that she is constantly disrespected and mocked, and has no mental peace. She has a demanding job and is also preparing for exams to do higher studies. Her schedule is gruelling as it is and when you add to it the unpleasantness at home, it is a recipe for depression. She has virtually no autonomy or privacy at home and many a times she has called me and told me she feels trapped in her situation. She feels like she can neither continue living there nor move out. Her parents and her sister are financially dependent on her. She feels duty bound to live with them and support them. This makes it almost impossible for her to save for future. She talked to her parents about her financial worries, telling them that she needs to save, especially since she will need the funds to pay for her course, after she clears the exam. They brushed her worries aside. Another time she told me that she had mentioned it to her parents that she was unhappy at home and was considering moving out. Instead of asking her what was wrong, they sneered at her and told her once she moves out she will realise that she can’t make it on her own. To me the most disturbing part is that they don’t even her even voice her concerns. As if not letting her voice her unhappiness will make it go away. I find it outrageous that they don’t show any concern or interest in her problems. All they do is belittle her and tell her she is wrong, even without having heard her out. I can see how its affecting her. I can sense her frustration, helplessness and utter loneliness. Just yesterday she sent me a text late at night saying she feels so alone, in spite of living with people who supposedly love her, she feels that she has no one she can really talk to. I know, how toxic this can be. I told her of my own experience and according to me the situation cannot improve unless she moves out. The last straw was today when she called me and told me about yet another such instance which had made her stay in a hotel for the night. I reiterated my advice of moving out. My point of view is that, she doesn’t owe them anything. Of course, she should care for her parents but they have a reciprocal duty to respect her as a person. It is possible to find a mid way, where she supports them to an extent but doesn’t sacrifice her autonomy. This need not to be an all or nothing situation as her folks are making it out to be. As in , either stay at home and let things be as they are or move out and be accused of abandoning them. It is supremely unfair for them to make her feel guilty for wanting to leave an abusive atmosphere. After all moving out does not necessarily mean she is abandoning them. They are seriously guilty tripping her and making her feel bad for even considering living independently. She is nearly thirty and it is perfectly natural for her to want to be independent. Its one thing to care for them but another if it comes at the cost of her own sanity and career. I think she should move out and contribute a little less at home so she can save for her higher studies, especially as they refuse to give her any account of the expenditure, or even discuss her worries. Plus, there is this constant tension and criticism hurled at her. I was in a similar situation at home and it made me nearly suicidal. I am concerned that she might go the same way. I request you to post this as soon as possible and the readers to please post their assessment of the situation. I want her to have someone else’s opinion other than mine. Sharing an update from Not a good wife. I have been wanting to write to you for a long time. Every time I started writing, I stopped myself thinking I will contact you only when I am ready to share the news with you that am completely out of the difficult phase I was in 3-4 years back. An email: He says what am I expecting out of this marriage if I cant even make him happy. Writing to you was one of the most sensible thing that I had done then. It gave me such a large access to different thoughts, perceptions and advice of so many people. A majority of them even helped me understand that I was actually not weird in feeling certain things. When I wrote to you that time, I was in a terrible haze, it was as though a fog had enveloped my brain and was simply refusing to fade away. I was too engrossed in dealing with everyday issues that I had forgotten who I was, who I wanted to be. I had grown so different from what I had imagined myself to be and I was hating myself for not having the courage to stand up for what I believed in. And then I wrote to you. Reading all the people’s comments jerked me up like anything. Really. It was like a bang! And the mind fog moved slightly to let small whips of fresh air to come in. In the days after that, I was determined to be assertive. I stood my ground on 2-3 occasions. I also made a major decision, call it the most risky thing ever, but i left my job and tried to give my marriage another chance. I was more clear-headed though I knew what I wanted.. and I realised it was not working out. I am glad I realised that I cannot really pinpoint to one reason, could be the age gap, could be control issues, could be different wants, could be sexual issues, could be ego, could be stubbornness, could be anything for all I cared. I realised in the end it really didn’t matter to me, all I knew was that I wasn’t me… and if I continue like that I am the loser. I took necessary steps and am now on the brink of getting a divorce. I wouldn’t say life was smooth soon after that. There have been occasions where I thought I was wrong, where I have questioned myself what I was doing… however, the bouts of indecisiveness was always removed by the various incidents that followed suit. I would say it took almost a year and half for the fog to be lifted from my mind. There is no better word for the ‘haziness’ I used to feel. I was like a zombie. If I think of it now some of the things I used to do makes me feel ashamed of myself. I used to actually keep a notepad and write down the tasks he used to mention casually, lest I forget it… coz if I forgot, it always ended in tantrums, concluding I didn’t love him enough because I forget his needs and wants. Once he complained that there are many mosquitoes in the night, and he called me the next day while I was at office to shout at me that he couldn’t sleep in the morning because of too many mosquitoes and that I hadn’t remembered to buy the mosquito all out liquid before I left for office the next day. These may be small incidents but all these incidents make my blood boil when I think of them. How I used to actually believe that I was not a good wife! But now I am glad am out of it. I have come out of that. I joined work again. I am doing quite well in that. My life is so much better now. I am actually laughing and smiling without fear that I will be shown my place because of something I didn’t do or some task I missed out doing. I came out at the right time I think. And I thank God, my family and You and your readers for that! I still have few more months till it becomes legal. I have always wanted to share this with you after it was all over but today when I saw my post in the related post section, it brought back all the memories and I knew I had to connect with you. Having gone through a phase of difficult life, it has now made me appreciate the freedom I have. The freedom to think. The freedom of my mind to have ‘thoughts’ that are ‘My thoughts’. And it makes such a huge difference! Thank you once again and I shall write to you again when everything is sorted out once for all. Not Perfect Enough for Mr Perfect? When she says she no longer wishes to stay with him, why isn’t her word enough? Are Happily Married Daughters a status symbol in India? Feminism has gone to women’s head. Divorce has become like selling onions. When a daughter refuses to go back. Remember the Anonymous Confused Wife? Many of us view with suspicion, essential information about abuse and control that can save lives. Basic information about recognising abuse [Recognizing Emotional Abuse], how it begins, the absolute non-negotiables, the need for support systems (etc) are treated as modern or western ideas. Sharing an email. Do you think information about healthy relationships and how to recognise abuse could have helped the email writer in some way? I have been reading your blog for quite some time now and have drawn courage and inspiration from many posts. I would like to share my story with you with a hope that you and your readers will be able to provide a general guidance. I come from an upper middle class family. There was constant reminders from family and friends that there is no male child or varis and that there is no need to invest in educating girls but to save money for marriage. None of this deterred my parents and they raised us well, without compromising in any form. My dad strongly believed that girls should be independent and for such girls marriage-alliances will not be an issue. Love marriage was discussed several times at home and my parents always said that who we choose to marry is entirely our decision and they will respect our choice. I still remember their words, “If you choose to marry a rickshaw fellow, we will still support your decision out of love for you but it is up to you decide if you will be happy with him for the rest of your life”. I lost my mom when I was 18, and since then lived/studied in hostels. I finished my graduation and soon moved to Australia for further studies. Life was very tough in a foreign country without family and friends. It was then that my (future) husband came into my life at a time when I was lonely and lost. He stood by me in difficult times and with him I began to feel secure and stronger. We were very much in love and my dad didn’t oppose my decision. My husband and I come from two different parts of India, he is a North Indian and I am from South. Our language, culture and many things were very different, but at the time these things hardly mattered. Soon he talked to his parents about marrying a South Indian. I didn’t hear the actual conversation but I thought his parents would be happy with his son’s decision. (They are both well-educated post graduates). My MIL came to visit us after a month. We seemed to get along well and I had a feeling she liked me. The alliance was agreed by making a ‘roka’ ceremony and she went back to India for wedding preparations. I believed all was well and happy that I would be marrying the love of my life with blessings from both the families. Contrary to my thoughts, my uncle called me one day pleading with me to forget about love and marry someone in our community. I soon sensed something was wrong and upon insistence he told me that my in-laws had some connections with the Police and they sent some policemen to my house to arrest my dad and whoever else was at home. [IHM: Warning Sign 1] Luckily, my dad wasn’t home but unfortunately my uncle was and they arrested him without giving out any details and jailed him overnight threatening that he will be in jail forever if he doesn’t convince me into forgetting the boy. My in-laws wanted the alliance to be broken from the girl’s end so they don’t have to hurt their only son. I was furious when I found out and put my foot down that I will not get married into such a family. But my husband stood by me and told his parents that if he gets married at all than it will only be me else he will remain a bachelor. Finally his parents had to give in and apologised to me, my dad and uncle and twisted the whole story saying that they only asked the police to enquire about family. Anyway with a lot of convincing and persuasion and of course drama, my wedding took place. I consoled myself that we will soon go back to Australia and in-laws interference will be very less. Oh boy how wrong was I! Not even a month after marriage, there was constant nagging from my MIL to bring my husband’s only sister to Australia which he obliged and she was here to stay with us soon. I never had any issues with her and we got along fine. There was drastic change in my husband after marriage, [IHM: Warning Sign 2] he was constantly irritated with me. He would very often tell me that marrying me was a very bad decision as he didn’t know his ‘worth’ before and now he knows. Had he wished, he would have got a fairer, good looking bride. I didn’t believe him at first and thought he saying just joking. I started getting a complex that I am not good enough for him and maybe he really deserved someone who is better looking than me. I wanted to make up some way for my looks and make him a happy husband. I blindly followed whatever he asked me to do. Our finances were merged and I no longer had any control over my salary. My husband would do all the banking transactions and I was given $50 as monthly expense. Even simple chores like buying groceries were (currently) handled by my husband. I remember the first time I got slapped  was when I bought some pasta home for $2.00 when the similar thing could be bought for 40cents. The physical abuse only put fear in me and I taught myself not to upset my husband ever again. Just not the financial independence, I also realised very soon that I didn’t have any more friends of my own. For some or the other reasons, my husband would turn me against my friends sighting trivial things. The only women or friends I was allowed to talk was wives of his male friends. I gave up all my friendships to make him happy as I thought I’ll have to live with my husband not with friends. You could be wondering what happened to my family all this while, I was too ashamed  to discuss with anyone, as I didn’t want people  to think my husband is bad. I remember when we got groceries, I would ask for deo and he always bought men’s deo only and used to say there is no difference between men’s & women’s deo and I should use his to save money. I once got a beating in return for saying ‘get women’s deo and we both can use it if there is no difference’. Every time he hit me, he would apologise and convince me that I get a beating because I have done something wrong and he is only disciplining me and it hurts him too when he is hitting him. Mentally, physically & psychologically I surrendered to him. I think that is my biggest mistake ever. There was so much pressure from fellow couples as most of his friends started having babies and it was our turn. I got pregnant  soon and the whole pregnancy was a very difficult one as the baby wasn’t growing well and I had gestational diabetes. Also there was continuous stress as my husband would not let me have maternity break for more than 6 weeks after childbirth. In my workplace, I was only entitled to 6 weeks of paid leave and if I wish to take it longer leave, then I had to go without pay which was not acceptable by my husband. Every time we had a discussion, he would strongly disapprove. I thought my child is my solace and didn’t want to let go of precious time with newborn. Well after lot of convincing, my husband agreed to 12 month maternity leave. My happiness didn’t last long as soon my in-laws arrived and the real trouble had only begun. My boy was born premature & I had several complications while delivery. My mother in law took control of the whole house including my son. She would only give him to me for feeding, I wasn’t even allowed to put him to sleep. While I was at home, both my in laws would tell me how bad I was for their son and how he has missed out on the opportunity to get a fairer beautiful bride. Now my task was not just making up to my husband for the lack of looks but also make up to my in-laws by being an obedient ‘bahu’. What was supposed to be a year after year visit became a permanent stay for my in-laws in Australia. I started a full time job after 10 months and found going back to work therapeutic. Against my husband and in-law’s wishes, is started making friends at work whom I wouldn’t discuss at home. For my ill luck, my husband got a full time job in the same company. As it was an issue of pride for him at work, he started loosening up a bit. He no longer controlled me in what I wear. I started having choices in buying clothes that I’d like to wear. Once after a fight at home, I discussed my issue with my colleagues/friends and they were shocked to know the truth. They slowly and steadily started brain washing me on how I am being abused by my husband and in laws. Talking to them made me realise how naïve I have been all these years and how my thoughts got clouded into believing that all this while I was making up for not having fairer skin. I successfully persuaded my husband to allow me to have a credit card and access to banking details. I was allowed to buy anything under $10 without seeking his permission. I was also allowed to go out for lunches with my colleagues. In all this while my mother in law was taking in charge of the house. She didn’t want me to do washing as I wasted too much water and soap. I was restricted only to do dishes, cleaning & occasional cooking. I let her do whatever she wished as I wanted to avoid conflicts. Then came a time when it was my son’s first parent teacher meeting at school. I put in extra effort that morning for the meeting to look presentable. To my surprise, my husband drove me home instead saying I don’t deserve to go for the meeting and he will go with his mom as she knows better since she is teaching my son at home. I was flabbergasted, as parent teacher meeting for a kinder going child is not about study, it is more about getting to know the parents. No one cared for what I wanted, my husband said he was only being logical. Four years were gone by and I got pregnant with second child. Unlike last time, this pregnancy was smooth. A girl was born, happy and healthy. I was very thankful for a complete family. My in-laws/husband were unhappy though as the girl was darker skinned, in other words, darker them me. I would get constant reminders again on how only if their son choose a fairer bride, they wouldn’t have to go thru having dark skinned grandchildren as theirs don’t look like north Indian at all. I couldn’t take insults anymore and gave it back to them (mind you my sister in law has got a permanent skin condition called Vitiglo and it pains me to hear that above all it is my in-laws who are judging kids for looks when they have their own kid with such condition) Once during such argument, my FIL kicked me out of my own home calling me ‘bloody south Indian’. I was waiting in garage for my husband to return with a three month old baby and my son. I waited there for 4 hours before my husband arrived. He was very upset for his dad’s behaviour and went to confront his dad but was replied with a tight slap across his face for questioning his father. I eventually had to get my sister in law to interfere and explain to her parents what it will feel like if her in-laws treated her the same way. Even though we never talked about it, there was unease and constant nasty undercurrent at home. The environment got toxic and it took a toll on me. Within a month, I was admitted to the hospital with a brain stroke. At thirty two years of age, I was diagnosed with high blood pressure and stroke. I managed to survive the first episode of stroke without any physical damage but my life hasn’t been the same since. I had a second stroke in another 6 months and doctors strictly warned me to change my lifestyle as they couldn’t put a finger on what is causing it except for stress. I have since been on medications that are for lifelong. Have had two major surgeries accounting to poor health. I am now on the verge of a life in a wheelchair as my legs have completely gone crooked. I look for happiness and strength from my children and haven’t given up on full time job. All my health problems are brushed away as minor issues. My Mil doesn’t even have the curtesy to ask me about my health. On many occasions, I wasn’t even offered a glass of water after returning from hospital stays. My kids love me lot but they are totally controlled my MIL. She decides what the kids will wear, what they eat and when they sleep. I am only an entertainment segment when I get to play before bed after finishing the house chores. My Mil is a control freak, I am not even allowed to put clothes for charity without consenting permission from her. She has got this weird desire/habit of saving, only brings vegetables at the end of day that are sold on special price and half of them are rotten. We never bought fresh veggies. I am not allowed to even throw away stale food without her permission, just to quote few examples of her freakiness. Just recently my MIL got sick with flu and was admitted to hospital. She has since been discharged and made a good recovery. But for last 3 weeks, I have been too busy attending to house, kids, work and in laws. I have been working around the clock meeting all their needs. My husband hasn’t offered to help me in any way and last night we had a fight over how I am not doing enough for his parents. I couldn’t take it anymore and I blasted with all the anger. I told him how I can never forget the fact that my Mil didn’t even offer me water when I was sick, how they do not want a darker skin bahu and how happy their life would have been if a Punjabi bahu came home instead. I didn’t hide the fact that I am looking after his parents only to please him. I told him that whether it’s my parents or his, there is always going to be a conflict and it is us as a couple who need to make adjustments and compliment each other instead of looking for flaws in me alone. Yet again I was silenced with a slap. I have had enough and can’t take it anymore. I cannot keep battering my self-confidence for the sake of a man who hasn’t got any respect for his wife. I don’t have the heart and feelings anymore for his parents. Please give me some thoughts and please don’t ask me to leave him as it is not possible. I have tried in vain several times to get this parents to live separately. I don’t see that happening. For my own sanity and health, I am coming out in open requesting you to please read my letter and offer some words of wisdom. Simple methods, recommended to anybody else, coping with any other kind of abuse, are forbidden to Indian daughters in law. Forbidden by whom? What makes some of us resent abuse victims instead of supporting them. Can a woman marry and change an uninterested man into a loving and responsible husband? Please note the difference between the support/response that a married Indian son and a married Indian daughter get from their families. One set of parents wants their child to Stay Married no matter what (they expect nothing more), while the other expects to control their child’s life, and marriage (and possibly finances). Traditional patriarchal norms justify, romanticise and facilitate abuse, and make it difficult for abuse victims to notice that they are being abused. Not surprisingly, Indian women seem to believe they need to Stay Married much more than Indian men do. And more men seem to feel they need to control their wives, no matter how unhappy it makes them, and their relationship as a couple. I got married almost a year ago and my husband works in USA. So after my marriage I spent only a week with my MIL but a week was more than enough for her to create problems. There were issues with dowry, my attitude, customs which my parents didn’t follow, etc etc. Me and my husband didn’t even go on our honeymoon because my MIL wanted us to spend time with her. There were too many issues already and not wanting to create new problems I asked my husband to cancel our honeymoon plan. In that one week, she called my parents daily complaining that I didn’t explain to her about the weight of each piece of jewellery which my parents gave me. Also, she expected me to leave my jewellery in their house [From an Anonymous DIL, Wife and Daughter.] and tried to communicate it to me in a political way (which I didn’t understand as politics is never my area of expertise ). She instructed my parents that whenever we leave to USA/come back to India we have to go/come from their house (Airport is a 30 minute drive from my parents’ house and my In Laws’ place is a three hour drive) and I can be at my parents’ house only for a few days. A lot more added up and there was too much tension when we finally left for USA. My MIL lies a lot and it’s so frequent that 1 out of 10 of her statements would be a lie. Anyone can easily find out that she is lying but my husband justified that that’s how his mother is and she won’t change. He helped a lot by supporting me emotionally so I was happy that he atleast understood the problem. After we came to USA, we started our own life and things were good at the beginning. We had our arguments and fights but we worked on it and were happy. We talk to our MIL in Skype once a week. Initially my husband was a little angry with her saying that she created so many problems for unnecessary reasons. She tackled him by saying that she is facing medical issues and that she has gone through so much trouble to raise him. Eventually my husband started talking to her. She used to find fault with whatever I do, the food I prepared, the dress I wore, the way I spoke. Nothing was good enough for her son. After three months into my marriage, my husband went through a minor surgery in his leg. On the first day after his surgery, we skyped to my MIL and the first statement which she said looking at me was that I should comb my hair, dress well, wash my face and be fresh all the time. For God’s sake, it was11 pm and I had admitted my husband in the hospital that morning and there was so much work that had to be done before I brought him home. Also, this is not a TV serial to wear all jewels and make up even when I sleep. My husband’s immediate response was to tell me that his mom is right. My MIL wouldn’t have known how much work I did from the morning but I expected my husband to know better. I took care of him very well but the following days became a nightmare. He became very demanding asking me to follow whatever he commands and I felt like I was walking on egg shells. I thought that going through the surgery was stressful for him and I did whatever he asked me to do. My MIL was talking to my husband daily since he was at home. On the first day when he spoke to my MIL he told her that she had found him a really good wife but just two days later he told my MIL that he doesn’t like me. I knew he was depressed so I tried to console him but my MIL used this as an opportunity and started slandering me. I was sitting next to my husband in front our laptop and she started shouting at me saying that I didn’t know how great she was and used this time to tell me how my parents didn’t give dowry as her son so much worthy, how I didn’t give my jewels to her and told my husband that she will make sure I behave appropriately. My husband demanded me to apologize to her and I did that too but I’m not sure why I apologized. My MIL used to give ideas to my husband about what food to eat and I had to follow the schedule.Once I didn’t have enough ingredients to cook a particular food which my MIL suggested and so I was asked by my husband to walk to the store in October’s cold night. That was the final straw and I couldn’t take more than that. I called my parents and cried explaining the situation. They couldn’t help me much other than consoling me. All these drama continued for few weeks. My husband resumed his work and situation became little better. My MIL gave lots of ideas to my husband saying that she wakes up early in the morning and does so much work at home. This led to my husband insisting I do the same. Every evening my husband comes from office and starts questioning me on what I did the whole day and even if he finds a small mistake he would start scolding me saying I’m idle at home. He expects me to be a perfectionist so I cook perfect meals, clean and wash but he never stops complaining. My MIL insists on coming to USA saying that she wants to stay with us for awhile and would teach me how to take care of the family. So whenever my husband finds a fault with me, he would say that if MIL is with us she would teach me everything. I feel alone and depressed. I keep myself busy by involving in painting and volunteering in a few organisations but my husband always commented that there is no point in all that because I failed to impress my MIL and him. Now I’m facing new problems. Even if we have a little argument my husband goes on without talking for weeks. Whenever I tried to convince him he asked me to promise that I would be 100% obedient to him. It felt weird when he asked me of such a thing. My mom is also a working woman so she had a totally different attitude towards life. She insisted I be independent and had always told me that I should think and decide on my own. My husband’s concept of 100% obedience makes me feel oppressed. To solve the immediate crisis, I said yes to him but not even in my dreams I expected him to implement it. He gives me orders for even washing clothes, cleaning the house etc etc . He told me straightaway that he doesn’t want me to give any suggestions for him and wants whatever he expects to be done. He finds fault even in the smallest of chores I do and I’m not supposed to voice my opinion about anything. I tried my best to do whatever he says and I clean everything I could get my hands on. But he never stopped complaining and says that I’m not an ideal wife. He often says that he doesn’t like me anymore. He eats the food I prepare, uses the dresses I wash but he doesn’t talk to me. I find this is a recurring pattern nowadays. He doesn’t talk for weeks together and not talking to one another is very common in their family. My MIL doesn’t talk to any of her sisters, brothers and she doesn’t talk to her IL’s family also. Also, she dominates my FIL totally and he is treated like trash.She gives ideas to my SIL also and their family is facing similar issues. I tried talking to my husband saying that we can solve our differences only by communicating it to each other but he says that there is nothing to talk about and his expectation is for me to do whatever he commands. I don’t know how to handle all the lies my MIL says and my husband’s reaction to it. Please share your views and suggest how do I handle this situation. From an Anonymous DIL, Wife and Daughter. Is it possible to make a man see his wife as a partner, if he has been socially conditioned to see her as someone who is supposed to obey and serve him? 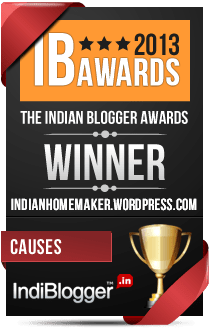 I’d like to thank you immensely for your blog which has truly been the guiding force for the women oppressed by the Indian Patriarchy. I read it daily and I believe you and the contributors can help me with issues pertaining to my married life. I have been married since last 2 years. It was an arranged marriage and we had met through an internet matrimonial website. The engagement period was 8 months long. Things were really good initially. He was loving, caring and kind. He had mentioned that his family was “traditional”. After two years, I now understand what Traditional means i.e. backward and oppressive. But at that time, I was naïve and had these expectations of happy married life. My in-laws consist of his parents and a (elder) sister-in-law who is married with two kids. After our marriage ceremony and honeymoon got over, his parents started living with us and the worst nightmare of my life started. They are really backward with religious superstitions about menstruation, bathing etc. I was forced to take early morning baths and then only to enter kitchen, of course, to cook for all of them. I’m an IT professional and I’m working, so my workload increased drastically. I had to cook twice, daily. His mother is extremely rigid and dumb and it’s impossible to have any rational conversation with her. She is so fixated in her beliefs and rituals that she doesn’t even seem like human, she is rather a patriarchal animal. I was isolated during my menstruation and I found it very humiliating. But for my husband, it was all “normal”. Letting “everyone” know about what is occurring in your privates for few days is apparently “normal” for them! I come from a liberated, well-educated family, so all this non-sense was extremely hard to cope with. I tried to adjust for few months but later, my parents had to intervene. My parents spoke to my in-laws and they finally left to live at their house, which is in another town. I thought the situation will improve but now my husband started behaving like a remote-controlled device of his mother. He forced me to adhere to the rituals which his mother had designed for our house. I cooked daily, kept the house and I’m working as well but if he got annoyed because of arguments, my failing to call his mother/sister, he started giving silent treatment to me. Sometimes, this silent-treatment used to last for 10-20 days. During this period, he’d cut-off all the contact with me, despite living in the same house. He even refuses to eat meals prepared by me and behaves like a stranger. The sister in law stays in another town but when she comes to stay at my place or when we need to visit their place, things get really nasty. My husband is very “attached” with his sister, so she brainwashes him over petty matters which result in fights between the two of us and again, the silent treatment starts. After each stay with his mother/sister, I have to tolerate this mental torture for months. Once, their effects fade, he is really nice and caring person but I never know, when his mood might change because of a petty matter. It’s been 2 years since I have been dealing with this emotional abuse/silent treatment. I’m fed up and I now know that chances of him or his family changing are nil. I’m 33 years old and I have a desire to start my family in future. But considering the sorry state of situation, it seems like a distant dream. Is there anyone out there who is subjected to this sort of emotional abuse? Can anyone guide me? What should I do? If we truly valued our happiness and our peace of mind more than we valued other people’s opinion of what our priorities should be – how would our lives change? I would like you to post this on your website and I am looking for advice and opinions as I feel just so stuck. I got married 7 months ago, against my better judgment I fear. This is my second marriage, I was married for 5 years previously but we didn’t have any children. It was a turbulent marriage from start to finish and I was so happy once I managed to get out of it. I never thought I would marry again, or have children and I was happy to finally have my freedom to see my parents and friends as and when I liked. To dress as I liked to drive my career and just be me. However, a year after I left my ex-husband I met another man who was just lovely, simple and gentle in nature. Sensitive and caring and just someone I loved being with. I had a boyfriend I was content until he started talking about marriage/wedding etc. He was ready to settle down and he thought he found what he needed in me. I couldn’t fathom the thought, also he was from a privileged family whereas my were less well off. They were well known in their community and mix with other rich and prominent people in their community. My sisters-in-law is still single and lives at home. My father-in-law retired many years ago, and my mother-in-law is a very backward, narrow minded and traditional woman. She is impressed by superficial things namely money, be it hers or other people’s, she is easily regaled with stories of people with successful businesses. My young sister in law warned me that her mother was superficial, that she didn’t care much for the love between her son and me, and she would only be interested in what people think, about how I dress and behave. I just fobbed this off as her being a little silly but now I am married into this family and lo and behold, it is true. It has been a pretty bumpy 7 months. I genuinely don’t like my MIL. She is old fashioned, narrow minded and VERY petty. She wants to tell me what to wear and when and how I should do things… there is an endless amount of unsolicited advice and criticism and snipping at every turn. I keep my mouth shut because if I don’t it would be pretty unpleasant. I have a temper but I have kept it well hidden from her, I use my husband as a sounding board and he usually understands. So we live in a joint set up. My husband, my sister in law and mother in law and myself – we live in a big and beautiful house but it isn’t a warm and loving house. Never mind I am here now and I have to make the most of a bad situation. My husband has been troubled by the degree of distance and lack of cohesiveness between his mother and me and he has acknowledged that she is a difficult character and unfair etc (he even said before marriage that if it became unbearable living with her we would move out). It is definitely a different tune now. She has complained to him about my room, my décor, my lighting, my blinds, my clothes, my jewellery, my personality, my behaviour, my existence essentially. She doesn’t like that I am not from their community and she doesn’t like all the clothes I chose to wear. He has complained about what people will think and that I just don’t look right to go into her society or community dressed as I do. I should also add that we are older than the average couple; I am 36 about to be 37 and my husband is 38. He has decided that we will stop trying to have a child now as he wants things to improve between his mother and I before we start again. Until I dress and behave how she wants we won’t try for a baby. This has crushed my world and I feel more trapped and stuck than when I was in my previous marriage. I am starting to hate him, I don’t want to look at him and I have to share a bed with him every night. We no longer have long chats and giggle about nothing nor do we hug the night away like a couple in love. It feels destroyed, I feel destroyed and I don’t trust him and never will again. He says if I do all the things he asks for to please his mother and if she still complains we will move out but this doesn’t make me happy because all I think about is that fact that he has used my greatest desire against me and he is preventing us from having a family. We have had some fertility tests and I am still fine but he has a low sperm count so we’re not even sure we’ll be able to conceive naturally. What do I do… is it fair that our marriage be contingent on the mood and misgivings of my mother-in-law? Do I give up the dream of having a family of my own? I desperately need advice as I feel like I will have a nervous breakdown or sink into depression. Imagine as an Indian woman… 2nd divorce isn’t an option. Please help, advise and guide. An email: My problem is quite common, but that does not make it any easier to handle. An email from a Divorcee’s Daughter. What should you do if you are sure someone is in an abusive relationship but they believe you can’t understand or they don’t need your help, though they do talk about how unhappy they are? When do attempts to help and support become interference, and what would you view as indifference? What prevents domestic/intimate partner (or any) abuse victims from seeing even the most obvious abuse? I think, one could share this link with them: Is your relationship healthy? And then we could try and be there for them – not easy but I don’t think there is anything anybody can do without this – because trying to force them to act is not too different from what the abuser is doing – and the abuser does not just use force. Also, they often have time, inclination, self-interest, social permission to control the victim. And how do we know we are right? I think there are some obvious non negotiables – but beyond that how do we know what would be the right thing to do? I think the victim has to be the one to decide. All we can do is let them know we are there for them when they need us. One of my very close relatives is in an abusive relationship. She is a very smart educated woman, she has great presence of mind. She also has a one year old son. She also has a good well – paying job for the moment. She has a husband who keeps leaving his job and will not stick to any of them. She believes that her husband has got into job troubles since marrying her (because he repeatedly tells her this) and that she has been unlucky for their entire family. She supports the family now but believes that she is the reason for their troubles in the first place. Both of them have fearful tempers and talk abusively during fights. He hits her, he has kicked her a couple of times that I know of. She believes that she provokes him into hitting her – this is also reinforced by his family – her mother in law and sisters in law keep repeating this. When I talk to her and ask her to come out of the relationship, she says I have a happy marriage and I will never be able to understand what is going on in theirs. She always wants to give him another chance. What can I do for her??? Any practical inputs from you or the blog readers would be very much welcome. If you had to to say something to inspire a victim of domestic violence to walk out, what would you say? An email. Please do not immediately write it off and say “separation”, “legal action”… is there anything she can do BEFORE she can resort to that? If she doesn’t seem to see your logic, would you support her the way she can be supported? Why do we never talk about sisterhood, about women defending one another and supporting each other? What do you think do most Indian parents consider their biggest responsibility towards their children? What is considered the right way to go about fulfilling that responsibility? What do you think of this comment by wordssetmefree? “I am a parent, am in my 40s and let me say this – this is what is wrong with our system, so let’s not continue to perpetrate it. Parents must not baby their children. They must teach them life skills and expect them to grow into mature, responsible beings. Lessons in responsibility can be taught at a very young age, like in pre-school. After babying their kids endlessly, they expect to control them for the rest of their lives, in exchange for this ‘sacrifice’. They control who they should marry, when they should marry, when to have kids, what career to pursue, etc. Now in their 20s, the kids finally wake up, and want to make a few personal choices in their life, and find that they are unable to. Nothing in their childhood prepares them to be confident, to make a single independent decision. Never once were they allowed to make a mistake and bear the responsibility of their own actions. So, they stumble through life, continuing to please their parents while hating it, afraid to take a chance, and give up their dreams. Every little rebellion is accompanied by enormous guilt that their parents gave them so much and all they give in return is rebellion. Making a personal choice is seen as rebellion. Having a different opinion is seen as rebellion. You can listen to your parents and be unhappy or you can go against them and feel guilty – those are your choices. Is this really a healthy way to live?? Mommy Guilt: A Western Influence. So what do our children owe us? A comment: One more thing, had I been financially independent I would have never got married. An email: I am 18 year old male from a traditional (read:backward) Indian family. Why is abuse by parents taken so lightly by Indians? The Powers of the Protectors. An email: He will be one of those 40 year old men living in parents basement with a wife he never really wanted. An email from a Mother in law. Emotional Abuse would be easier to recognise and deal with, if lessons of Obedience and Adjustment were replaced with mutual respect and equal right to happiness, justice, self reliance and freedom for all. But how can we talk about abusive boyfriends when we (as a society) are so busy banning Choice Marriages and Valentine’s Day? I have been following your blog regularly and now I am at a crucial stage in life where I need or rather want to take a decision and thus have turned to you and your readers. I am 23 and currently in my final year MBA. I have been in a relationship with a guy who is now 29 for the last 3 years. I belong to a fairly liberal family with both my parents working. When I say liberal I mean that I was always allowed my freedom, my mother and I would discuss my crushes, my family has never till date told me what I need to wear, whom I should not talk to, has never advised me how to behave and has never advised me to stay away from boys. I was always allowed to go on college trips with boys and girls and was never monitored during those trips. Very rarely have my parents stopped me from doing what I wanted in my life till date. My parents knew this guy as my friend but from the time I told them about my relationship with him, they are against it. They have not resorted to emotional blackmail, or threats but my father and mother have sat down with me and have discussed with me as to why they think this will not work for me and have told me that they are not willing to support me in this. The guy comes from a very traditional family background where girls are not sent to college and are married off as soon as they turn 18 years. His own sister was married off at 19 when she was in second year of college and was given a hefty dowry and to this date her family still demands money and gifts and the girl also thinks that its her brothers duty to fulfill her needs.She lives in the same city but spends more than 15 days at her parents place and is always cribbing that her parents and brother are not taking care of her and her husband. Her husband does not work, has taken loans from a lot of people and in order to escape paying suddenly vanished from the scene. My BF was expected to pay all the money and bring him back. This is a recurring phenomenon and nobody questions. 1. The guy lied to me about his sister’s family situation. In fact he told me that his sister is married to a very nice guy and that they make the perfect couple. 2. He also lied to me about his name: He has a very long name and so uses initials for it. So when I asked him what all the initials meant he lied to me by replacing his actual name with some other name and I did not know of this till his friend actually told me about it. 3. He lied to him that his father was a successful businessman, on the contrary his father does not work and shut his business many years ago. When I asked him this, he said that his father had serious health complications because of which they had to shut down and then on another occasion he told me that actually his father is incapable of handling business and hence shut it. 4. Everyone in his family knows about me but he never volunteered to introduce me to them. Finally, after a lot of persuasion from my end he took me to meet his family not to their home but to another town where his family had gone for a pilgrimage. There I found out that they had booked 2 rooms for 8 of us which included his sister’s family and his parents and us. In the night everyone except his father slept in 1 room and me, the guy and his father slept in another room with me and the guy on the floor and his father on the bed. I was very uncomfortable with this arrangement but just kept quite. It was the first time I was meeting them and I was very uncomfortable. 5. The next time he took me to his hometown where his parents and sister lived. Though his extended family knew about me, from the moment I entered their house there were instructions given to me very subtly about how I must not step out the house as nobody should see me. I did not understand why they wanted to hide the fact that I was visiting. 6. He has severe temper issues i.e. even if I am late by 5 mins when we are going for a movie he will start shouting and then he will stop talking to me. It takes immense efforts to make him normal. but on the contrary, he can come late and I must understand and not make an issue. I find this very wrong. 7. I also don’t understand another thing: he is always available as in he just steps out of work at any random time and insists that I meet him. I am then expected to bunk classes and come to meet him and even if I have exams the next day he will insist on going out and if I refuse he will say that since I did not come to meet him, I should not even talk to my friends on the phone or even step out to have dinner. 8. He has very bad work ethics and I feel he is not professional because he always skips important meetings at work and tells his colleagues to cover up for him which I hate absolutely. He even takes a lot of unscheduled leaves and gives his ID card to his colleagues and asks them to swipe on his behalf and log on to his system and reply to his mails. He tells me that he is very smart and so can manage all this at work which I find very disturbing.When I question him, he says he can do anything to spend time with me. 9. He always expects me to be dressed impeccably i.e. not a strand of hair should be out of place, clothes preferably only cotton salwars neatly ironed with a duppatta in place and if I am not neatly dressed even on one occasion he starts sulking and does not even talk to me properly. Is it really so important to be dressed up always even if its just for a casual outing to a coffee shop? 10. He has very strong views about homosexuality – one of my friends is homosexual and so he wants me to stop talking to my friend because he believes that its not our culture. 11. For some strange reason he hates my dad, even as a friend when I would call him home, he would never make any attempts to talk to my dad or even strike a conversation. He tells me that I should not trust my dad, I do not know why but he insists that my dad is bad. 12. When we are out, he constantly comments about other women i.e. they are fat or thin or beautiful etc but if I look at a guy, then I am doomed. 13. These days he has also started telling me what dowry he would get if he would marry the arranged marriage way and asks me if my father will give anything at all to him. Also, whenever we are out and if his sister calls, he never tells her that he is with me, instead lies that he is with some other friend. 14. Also, I recently found out that he has two facebook profiles: one with his original name and details and his friends and another profile with the name he told me and a different date of birth and strangely only his and my common friends in the list. When I asked him he simply dodged the question and gave some vague random reply like he wants to keep me and our part of his life separate which I did not even understand. When I questioned about the name he said that since we first met with that as his name he wants to continue with that.. I am really surprised. Now my mother and father do not know all the above details except about his family and sister issues and they are against our relationship for that reason, but ever since I have also started thinking about our relationship and after much thought I have realized that at 20 when I started dating him I never thought much but today I have issues with all the above points. I tried talking to him and from that day onwards he has started emotional blackmail – says that I am cheating him now and that he cannot live without me, his life has no meaning without me etc.Today he has even called my best friend and told her that I am behaving very rudely and that he will not be able to live if I continue behaving like this. I am really worried and stressed out and to top it all I have my final project submission next week. He just does not let me concentrate on my project and since I stopped answering his calls, he sends me messages saying he is sick, admitted to a hospital and has even told my friend the same and asked her to convince me to talk to him. I am really worried as I do not want to loose my degree and also I am unable to bear his emotional messages. I don’t know if I should ignore all the above issues or if I should just leave him. If I leave him, I am worried he might really do something and that my life will be ruined. Also, now that he knows my parents are against our relationship, he is pressurizing me to pack my bags and run away from home after my project submission and then lodge a complaint against my dad and seek protection. He says that if I love him I should leave my family and I am really not ready for it. Please help me..I have not told my parents all this as they will be worried and will really freak out and get tensed but at the same time I do not know how to handle it. An email: He did not want me to be “more” educated than he was. An email: An Old fashioned boy friend and a Liberal girl friend.